Employment can be hard to find but even harder to keep when dealing with an addiction. After the United States’ economic downfall starting in 2007, the workforce has been slowly rebuilding to a more stable point. 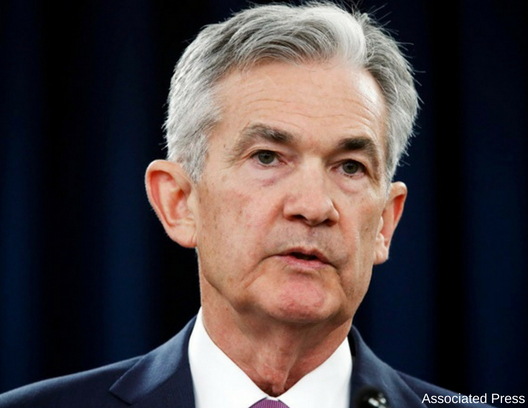 Now the newest challenge to labor pool has nothing to do with any economic decline, but instead a healthcare crisis, says Federal Chairman Jerome Powell. Potential employees not counted in the labor force have increased by 16 million over the past decade, an increase of more than 20%. America’s opioid epidemic is causing a massive toll on human lives and the ones not taken from overdose or drug use complications have rendered them unemployable or unfit to take on work as a consequence to overwhelming addiction issues they have been unable to manage. Speaking to the issue during an appearance at the Senate committee, Powell called it “a terrible human tragedy” that has a direct impact on labor progress is measured. “From an economic standpoint, some high percentage of prime-age people who are not in the labor force, particularly prime-age males who are not in the labor force, are taking painkillers of some kind,” he said. Among the Fed’s main objectives is attaining maximum employment or ensuring every possible worker has a job in America. Between those looking for work are the portion of the working age population that is unable to work because of their addictions. Citing research from Princeton’s economist Alan Krueger, who’s survey found that 44% of men reported they had taken some form of pain medication the previous day. These numbers become a factor in the government’s calculations of unemployment rates, those not considered active in the workforce are not counted in the jobless rate hold the number down and don’t give an accurate picture into employment forecasts. In the last ten years, the Labor Force Participation rate has declined from 66.1% since June 2008 and now a reported 62.9% in June 2018, despite a more prosperous economic time than when the real estate market crashed a decade ago. In that same amount of time, the labor force actually grew from 79.3 million to 95.5 million potential workers, a 20% increase. These are compelling numbers with increases of deaths growing daily, at an average of 6 deaths per 100,000 to an incredible 13 per 100,000 in 2016 according to the Centers for Disease Control.